With regards to responsible, sustainable – better tourism, South Africa has been on our radar for a long time. Here’s the story of a lady seriously committed to boosting South Africa’s responsible tourism credentials: Meet Heidi van der Watt, founder and director of Better Tourism Africa. How to measure the success and return on investment of sustainability initiatives in tourism. Heidi, do you remember first time you heard about sustainable tourism, and your initial thoughts? That’s quite a trip down memory lane. At the time, the three pillars of sustainable tourism were more commonly packaged as ‘eco-tourism’. Admittedly a narrower interpretation of how we see sustainable tourism today, but this was more than 20 years ago. South Africa was on the brink of her first democratic election, and was about to undergo rapid growth in arrivals. 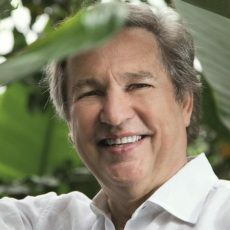 It made all the sense in the world to advocate for tourism that would protect the scenic beauty and wildlife the destination traded on, while making sure economically marginalised local people living in rural areas or in protected natural areas received more of the money tourists spent in the country. Sustainability in urban tourism was not high on the agenda then – or at least not in South Africa. Now in 2015, how has your view on sustainable tourism changed? Sustainable tourism is relevant for any type of destination and any type and size of tourism business. Of course, I restrict using the words sustainable tourism to very specific audiences. Despite all the books, workshops, conferences and courses generated in the last 30 years or so, the term is still poorly understood and often misinterpreted. We prefer the term ‘responsible tourism’, and of late, simply ‘better tourism’. Tourism is still a relatively new economic activity for many stakeholders in Africa. We find that ‘better tourism’ is easily understood and resonates well with aspirations for better quality lives and livelihoods. As destination specialist, where do you see the sustainability priorities, e.g. in South Africa? A fundamental change in the way destinations and tourism businesses report on tourism performance – asking the right questions, and using meaningful measures – not just numbers of tourist arrivals and revenues. We need to know how that revenue is distributed (or concentrated), whether and how much of the income reaches economically deprived sections of communities, what the numbers mean in terms of water and electricity usage, and so forth. Tourism businesses that operate responsibly should be treated differently by governments through incentives and recognition. Ownership and economic benefit from tourism is still markedly skewed in South Africa, and Africa for that matter. Needed is more equitable involvement of local people in tourism supply chains, employment and business ownership. Of course it is pointless simply redistributing economic benefit without growth. Without good quality, viable and competitive tourism businesses and destinations we’re on a road to nowhere. Your thoughts on the current state of sustainable tourism in South Africa, and Africa in general? Many destinations in Africa are in the initial stages of tourism development – marketing and a push for growth in arrivals appear to be the priorities. African destinations and tourism businesses are generally short on sustainable tourism awareness and know-how. Marketing responsibly operated tourism businesses differentially is not even on the radar for government destination marketing agencies. For a consumer, finding sustainable tourism businesses (beyond the big name wildlife and nature-based operators) is quite a challenge. Yet there are examples that are the best of best. We try to discover and celebrate leading lights on the continent through the African Responsible Tourism Awards. South Africa probably has the most comprehensive supporting tourism policies and destination strategies, several programmes relating to sustainable tourism within national and many provincial and local governments, and large and small corporate players with solid responsible business practices. 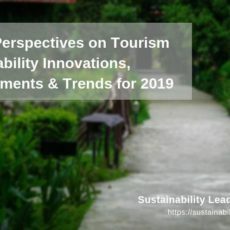 Even so, sustainability considerations are by no means at the core of how tourism businesses and tourism sector organisations operate, destinations are marketed, decisions about funding or investing in tourism projects are made, or how tourism performance is measure and reported. 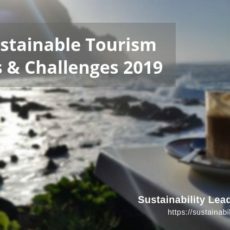 Looking back at your three years as board member of the Global Sustainable Tourism Council, how has the sustainable tourism landscape changed? My observations from the ground are that more tourism businesses are taking up responsible business practices, more consumers are seeking out products that show these practices, awareness of and take-up of certification is spreading within Africa. However, there is not enough urgency – sustainable tourism remains an add-on and not embedded in tourism destinations and businesses. How to measure the success and ROI of sustainable tourism at destinations? Reporting on this will of course not be easy. Especially not on points 5 – 10, as this will require information that very few businesses and destinations manage to collect and report on. ROI will be even more difficult. Very few tourism businesses measure ROI on their responsible business investments. For that matter, I’ve yet to see a destination marketing agency in Africa reporting comprehensively on marketing ROI! What motivated you to set up Better Tourism Africa – what is this all about? Ten years after the 1996 White Paper on Tourism, the first national tourism policy in the world to have responsible tourism as its foundation, my co-founders and I were frustrated that tourism in South Africa was still ‘business as usual’. We decided to become agitators for change rather than sit on the side-lines criticising. Today, we keep pushing for change through networking, participating in policy debates, technical advice to tourism business and destinations, awareness talks, and the like. Which 3 books should sustainable tourism professionals read this year? [easyazon_link identifier=”1906884390″ locale=”US” tag=”slpus-20″]Taking responsibility for tourism[/easyazon_link] (Goodfellow Publishers, 2011) by Harold Goodwin. [easyazon_link identifier=”1903919991″ locale=”US” tag=”slpus-20″]The Final Call[/easyazon_link](Transworld, 2007) by Leo Hickman, ethical living columnist for The Guardian. Green Growth and Travelism: letters from leaders (Goodfellow Publishers, 2012) by Geoffrey Lipman, Terry DeLacy, Rebecca Hawkins, Shaun Vorster, Min Jiang. Connect with Heidi van der Watt on LinkedIn. 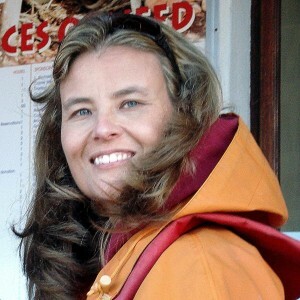 Enjoyed our interview with Heidi van der Watt on better tourism in South Africa? Share and spread the word!